Brass plated steel split-form eyelet with 4mm inside diameter. 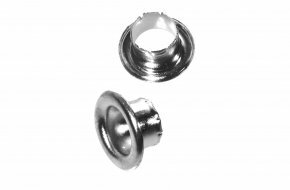 Nickel plated steel split-form eyelet with 4mm inside diameter. Gunmetal finished steel split-form eyelet with 4mm inside diameter. Nickel plated steel split-form eyelet with 5mm inside diameter. 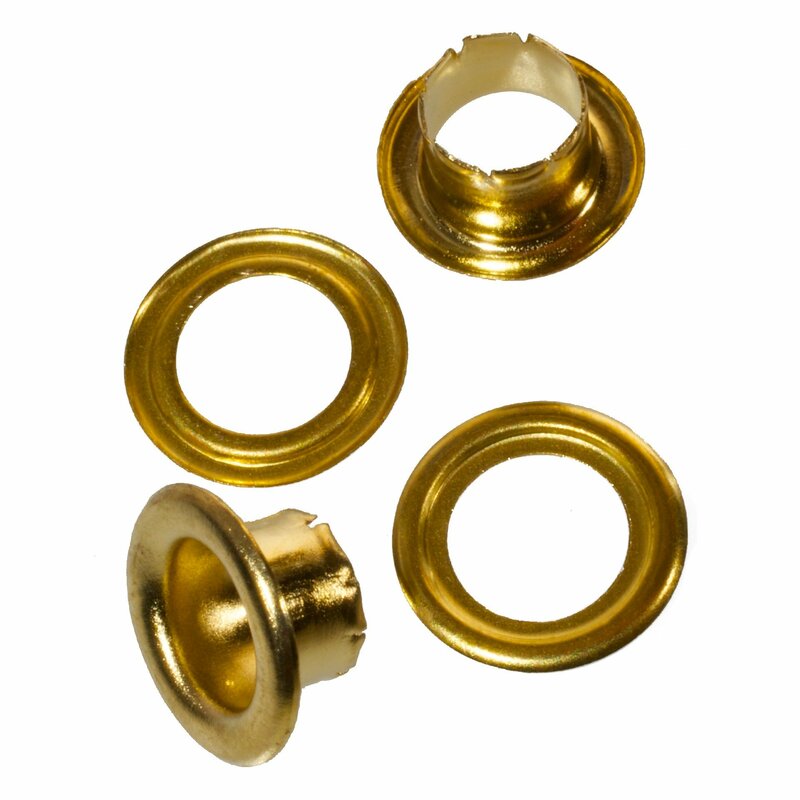 Brass plated steel split-form eyelet with 5mm inside diameter. Gunmetal finished steel split-form eyelet with 5mm inside diameter. 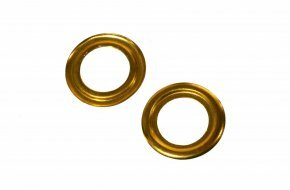 Brass plated steel split-form eyelet with 7mm inside diameter. 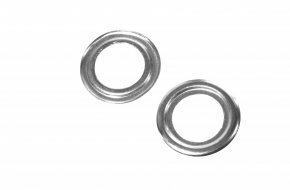 Nickel plated steel split-form eyelet with 7mm inside diameter. Gunmetal finished steel split-form eyelet with 7mm inside diameter. Nickel plated brass ring with 7mm inside diameter. Gilt finish brass roll form ring with 4mm inside diameter. Nickel plated steel finish brass split or roll form ring with 4mm inside diameter.